Tomatoes are either indeterminate, which means they grow as a long vine and produce tomatoes over several months, or determinate, which means they grow into shorter plants and produce tomatoes over a four-to-six week period. In Texas, the planting and production window is narrow because the late spring and summer daytime temperatures climb rapidly above 90 degrees F. Once that happens, many tomato plants do not produce high-quality fruit. Therefore, choosing varieties that are recommended for Texas is important for tomato growing success. The Celebrity variety is a determinate vine that produces fruit 60 days from planting. The plant is resistant to the Tobacco Mosaic Virus, Verticillium Wilt and Fusarium wilt. Best of all, it is resistant to Root Knot Nematodes that can infect the roots of tomato plants leading to the rapid decline of the plant. The fruit is medium large and many tomatoes are produced in a short amount of time. Once production ceases, the plants should be pulled and destroyed as they cannot produce again during the season. The Bingo variety of tomato is a large determinate vine with big leaves that protect the fruit from sun scald. It is resistant to Fusarium Wilt Races One and Two, Verticillium Wilt, Tomato Mosaic Virus, Alternaria Stem Canker and Stemphyllim. It is not resistant to nematodes, so it is not appropriate for sandy soil. The Bingo variety of tomato is a large tomato with a good taste that matures in 65 days. 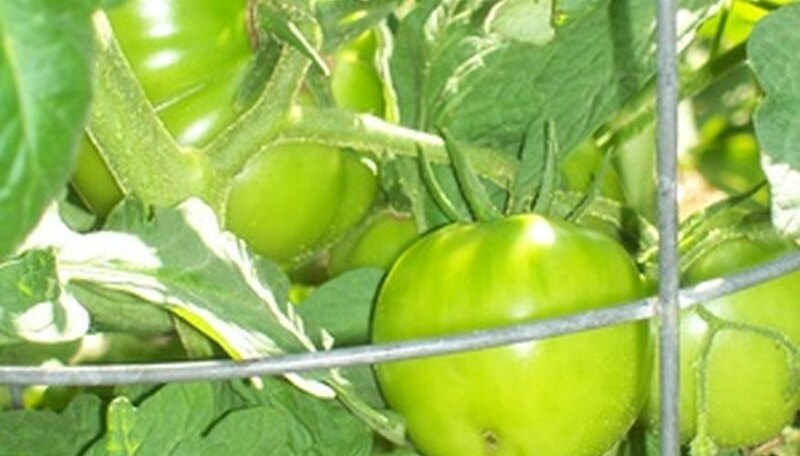 Sun Leaper tomato is a determinate tomato that matures in 85 days. It produces tomatoes in the hottest part of the growing season when temperatures climb above 90 degrees F. The fruit is sweet with a slight tart flavor and the fruit is medium large. It is resistant to Verticillium Wilt and Fusarium Wilt races one and two. Roma is a plum type of tomato that produces elongated fruit on a bush-type plant. It matures in 80 days and is resistant to Early blight and Verticillium Wilt as well as Fusarium Wilt. Roma tomatoes are considered a good tomato for making tomato paste and for cooking. The BHN444 determinate tomato plant was developed by Texas A&M University and produces large crops of good tasting tomatoes. It matures in 75 days and is resistant to Tomato Spotted Wilt Virus as well as Verticillium Wilt and Fusarium Wilt Races 1 and 2.